You are here: Home / Blog / Blog / Want to Give Dermal Fillers A Try? Want to Give Dermal Fillers A Try? In this day and age many women have tried or are thinking about trying dermal fillers to reduce the appearance of wrinkles and fine lines. There are a lot of different kinds of fillers out there, and at Jon`Ric Medical Spa & Wellness Center we offer several. If you are thinking about trying dermal fillers for the first time the points in the article below are worth reading. You will be in great hands at Jon`Ric if you decide fillers are right for you, so call us to make your appointment! Full cheeks, smooth skin, plump lips: Some people have them naturally, while others get a little help from their dermatologists with dermal fillers. If you can’t quite tell which category a celebrity or someone you know fits into, well, that’s the point. The latest injectable treatments are easy to get (if not cheap), long lasting, and designed for subtlety. They’re also perfectly safe, provided you’ve done your homework and go to a reputable doctor. If you’re curious about fillers, these are the things to know before getting pumped up. First things first: Dermal fillers aren’t the same as neurotoxins like Botox and Dysport. The latter type “freezes” muscles to reduce wrinkles, while fillers smooth out skin by filling wrinkles. Collagen used to be a common filler, but these days most fillers, such as Restylane and Juvéderm, use hyaluronic acid. Thanks to its ability to store moisture, hyaluronic acid is responsible for giving skin a plump, hydrated look. It’s used topically to moisturize, but a cream or serum can’t restore lost volumeonly injectable hyaluronic acid can. Once injected it can add to the natural plumping action, or replenish your body’s natural production of hyaluronic acid, which diminishes as you age. Trout pout and duck lips are a surefire sign of filler. But when expertly injected, filler should look natural. “The changes we can make are so subtle that nobody would notice,” says Ava Shamban, M.D., a dermatologist in Los Angeles. “Instead of seeing filler, they’d say, ‘Oh, I never noticed your eyes were green.’ ” Imperceptibility is the goal. Take the lines around your mouth, for example. A decade or so ago, filler was often injected into the nasolabial folds, or laugh lines, to literally fill the wrinkles themselves. These days, the goal is to plump and lift in other parts of the face for a more natural-looking result. “As you age, your bones get thinner, and the overlying fat pads slide down,” which makes the skin sag lower, causing deeper folds at the bottoms of your cheeks, Whitney Bowe, M.D., a dermatologist in New York City, tells SELF. Bowe often injects Restylane Lyft right near the cheekbone to restore fullness, which lifts the face, reducing the look of smile lines in the process. 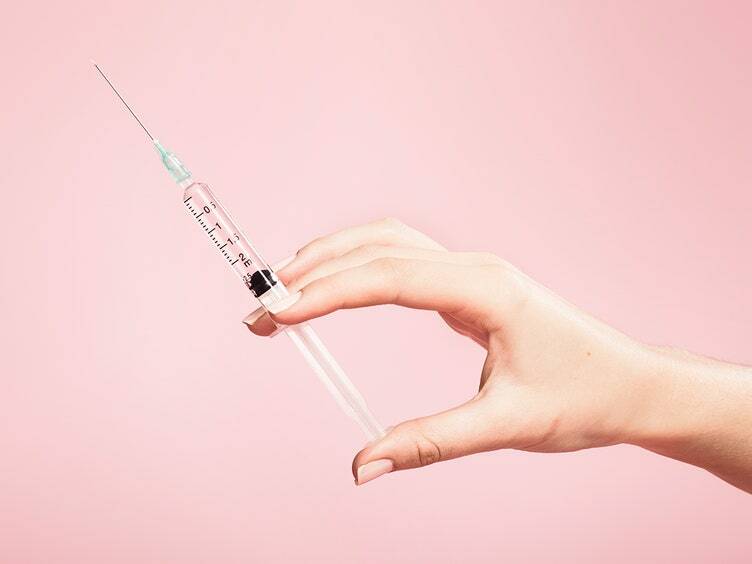 “The fear [with injectables] is that someone is going to look like the product,” Paul Jarrod Frank, M.D., a dermatologist in New York City, tells SELF. “But really, you’re going to look like the injector.” Injection is an art, so you want to find an artist whose work you like. That’s why it pays to do more than a Yelp search for recommendations. “People are starting to be more open about injectables,” Shamban says. “If you’re in a group of women and someone has had it done, ask who she went to see.” From there, she advises asking the doctor or nurse to see before-and-after photographs of real patients. Every practitioner has different philosophies, techniques, and levels of experience. Be sure you and your physician communicate about realistic results and your expectationsit’s your face, after all. Don’t be afraid to ask about training and certification, too. Even though dermal fillers are available at Medspas, you should see only licensed and trained physicians for any injectable treatment. Just like any medical procedure, there are risks for infection, discoloration, and lumps if injections are done incorrectly. Though there is absolutely no need to go running out for fillers before you even see your first wrinkle, people are starting treatments younger than ever before. According to the American Academy of Facial Plastic and Reconstructive Surgery, in 2015, the majority of member facial plastic surgeons saw an increase in cosmetic surgery or injectable treatments in patients under age 30. Many dermatologists say that starting relatively young may have benefits. “It depends on the person, but I think earlier is better,” Shamban says. “Looking at my patient population, there’s no question that those who started earlier with small amounts are aging differently than people who didnt. Its much better to play the game of prevention than the game of correction.” But keep in mind, there are othercheaperways to prevent aging, including wearing sunscreen and using retinols. While the bulk of filler is made with hyaluronic acid, different particle sizes will deliver different results. “Restylane Lyft has larger particle sizesthink of them like the bricks of a foundation,” Bowe says. Those larger particles have the heft to “rebuild” thinned cheekbones, while a smaller particle size, as in Restylane Silk, works better for addressing fine lines and plumping lips. A good dermatologist will explain the ideal treatment plan for you, but know that the most natural-looking results may require more than one weight of filler. 8. Bad filler can happen, but it doesn’t have to stay that way. If you see a deal for inexpensive filler, be skeptical. Shamban says that doctors typically pay between $250 and $350 per syringe of Restylane, so if patients are paying less than that, something’s off. “You have to be careful,” she says, adding that counterfeit and diluted filler do exist. “Ask to see the box, and look for a safety seal on it.” The price of these fillers varies depending on the amount of product neededexpect a treatment to run anywhere from $650 to $2,000. 10. There are some times you shouldn’t get fillers injected. Though fillers are considered safe, there are a few reasons to postpone an injection. If you’re pregnant, breastfeeding, or you’re battling a sinus infection, it’s best to hold off, as any infection in the facial area could spread to the injection site. And here’s one more you might not think about: Don’t get filler right before a teeth cleaning or other dental treatment, Shamban says. These procedures require pressure and stretching of the face that could potentially misplace fillers. Waiting at least a few days, or preferably a week, is ideal. 11. If you love the look of your fillers, you’ll have to keep going back for more. After about six months, the hyaluronic acid fillers are naturally broken down by the body. So, you have to get touchups once or twice a year to maintain the look. However, this is good news if you’re just want to try fillers once or twice, since the effects will fade away without any long-term risks. It’s important to note that getting filler doesn’t stop your skin from aging completely, so you could need more filler to get the same results over time. http://jonriccharlottemedicalspa.com/wp-content/uploads/2013/09/wp-logo.png 0 0 Jon 'Ric Charlotte http://jonriccharlottemedicalspa.com/wp-content/uploads/2013/09/wp-logo.png Jon 'Ric Charlotte2017-07-30 14:03:002017-07-30 14:03:15Want to Give Dermal Fillers A Try?